Lewis Hamilton is not getting caught up in the excitement of Formula One's 1,000th race as he insisted in China: "I'm here to do one job, and that's to win." The scene was being set for the sport's landmark race yesterday, with wall-to-wall branding of the number 1,000, while cars of yesteryear were rolled into the Shanghai paddock. But Hamilton, who will start the 232nd race of his career as he bids for a sixth world championship, said: "I'm not one for birthdays, anniversaries and special days. It's no different to any race weekend for me. I'm here to do one job, and that's to win. "It doesn't matter if it's the 1,000th, 2,000th or 10,000th grand prix. It is an irrelevant figure for me." Hamilton, who trails his Mercedes team-mate Valtteri Bottas by one point, knows he will face another stern test from Ferrari after the Italian team dominated in Bahrain. The Mercedes star took advantage of Charles Leclerc's late engine failure to take a win. At Ferrari, Leclerc has emerged as a serious contender after upstaging established team-mate Sebastian Vettel at the last round. 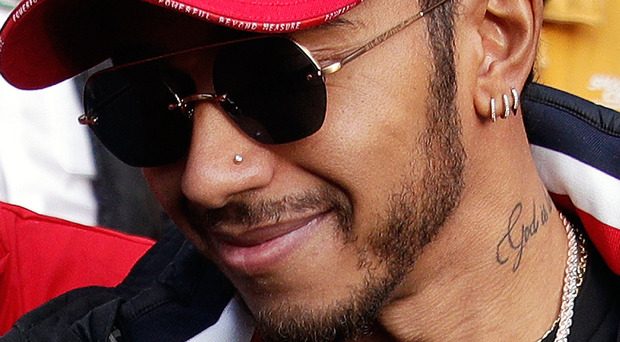 Hamilton later pointed towards Vettel's career resume which boasts four championships in support of the German. Vettel said: "Maybe he's the only one that doesn't lack a short-term memory. As much as I want to beat Lewis, he wants to beat me." By Sammy Hamill Craig Breen will aim to tick off another box on his to-do list by winning the Easter Stages Rally, which begins from Antrim's Castle Gardens tomorrow morning (10am).